The con Chicago needs and the con you deserve! April 24-26, 2014 | South Building at McCormick Place. The Chicago Comic & Entertainment Expo — also known as C2E2 — is a convention spanning the latest and greatest from the worlds of comics, movies, television, toys, anime, manga and video games. C2E2 is lovingly handcrafted by the same people that bring you the New York Comic Con. Come meet your favorite comic artists, creators and celebrities, and mingle with other comic con fans in Chicago. 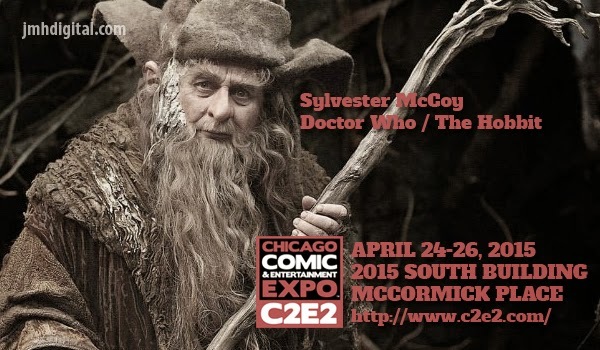 C2E2 is the con Chicago needs and the con you deserve!